Writing for the Golfer’s Journal over the last few years has been one of the most satisfying experiences of my career. Great editors, gorgeous product, stunning artwork, and a perfectly timed aesthetic and approach to the game. If you don’t know the Golfer’s Journal, it may be because the quarterly is print-only, but below is an essay of mine they shared online. I was honored to be asked to do a 2018 wrap-up, and per usual, they let me write what I wanted to. If you don’t subscribe already, consider it. It’s like getting four great golf books per year, and it’s a chance to support an important blending of art, literature, and sport. Happy 2019, all. May we all play more. Tom, I enjoyed both of your books as well as this article. 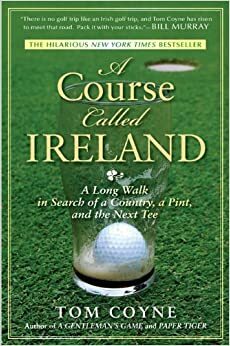 For me, the golf was a sidebar, though important as one who has often played golf in Ireland and Scotland and loves your narratives. Your insights about yourself and humankind were the main story lines for me and welcomed. It’s amazing to me how this game is a thread that binds strangers together and make friends stronger.